As I write this blog post I am looking forward to this weekend with trepidation. 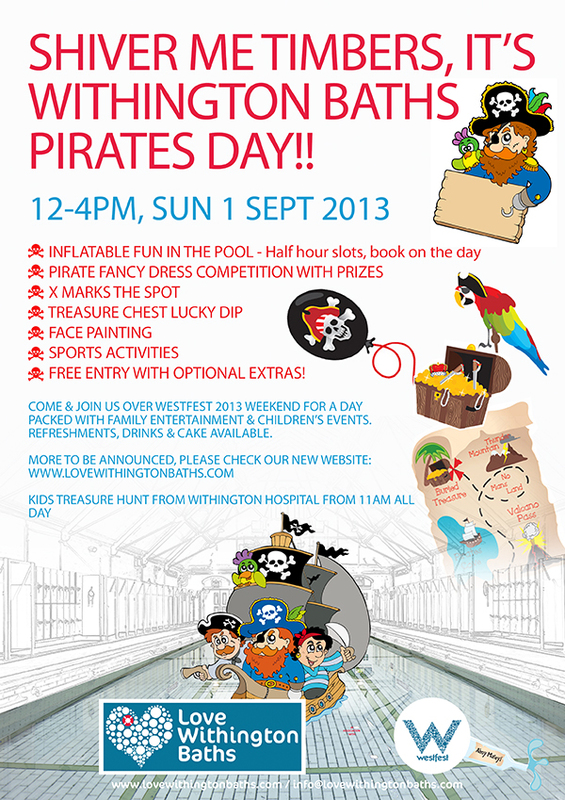 On Sunday, I will be going to the Love Withington Baths campaign Pirate Fun Day. If the campaign manages to raise over £500 then I have agreed to walk the plank at 4 pm as part of the pirate theme of the day! As Withington Councillor Simon Wheale has mentioned before on this blog, Manchester City Council announced that Withington Baths and Leisure Centre was going to be closed in March 2013. Thankfully the local community said no and the campaign to ‘Save Withington Baths’ was successful and attracted more than 8000 people. After a lot of hard work and campaigning, the campaign successfully stopped the closure of Withington Baths. ‘Love Withington Baths’ is a campaign designed to make sure that the Baths’ future is secure beyond 2015. By raising the profile of the Baths and encouraging more people to pay them a visit, we hope to keep the Baths open for years to come. The campaign provides an essential opportunity for leisure in the area and I believe that it is very important we support events such as the Pirate Fun Day in order to make sure that both children and adults in the area have access to the Baths in the future. By attending the event, and helping to raise both funds and awareness, I hope that we can all help to secure the future of Withington Baths. The fun starts at 12noon and runs till 4pm with lots of activities for all the family including face painting, fancy dress prizes and X marks the Spot! For more information, go to lovewithingtonbaths.com. If you want to see me walk the plank this Sunday then get in touch at info@lovewithingtonbaths.com to donate to the campaign and make my Sunday a wet event to remember!